Monitoring programs are getting more and more popular these days. It is even possible to say that a new program is developed everyday, which makes it incredibly difficult to select a good one for personal usage and business need. There are two most popular reasons why people install spying soft. The first reason is to monitor kids, who become secretive as they get older. If you have a child, you know how important to keep an eye on him/her on the distance. It is even better if you can do it without letting anyone know that. The second reason is to track activities of people when they are at work. These days most companies do not refer to banning social media and other entertaining non-related to business websites. But they install software that makes them able to keep employers updated regarding what employees are doing during working hours. The following review highlights main features and advantages of using Auto Forward program, which has become popular recently. The tool has numerous advantages for both private and business need. Auto Forward is not a conventional program as it could be applied not only as a spying app but also a tool to create a backup copy of your device and restore data in case it gets lost or broken. Just imagine that someone has stolen your phone and important information is not available. With Auto Forward you will be able to retrieve information from the mobile device, including contacts, messages, files, etc. 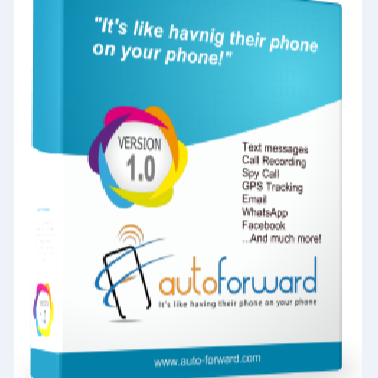 Auto Forward was developed to be applied to most popular phones – iPhones and Android mobile devices. Unfortunately, it is not compatible with any other OS such as Blackberry. The soft offers mostly the same features for both OS with only couple of difference. If you are using Apple products, there is good news – they do not need jailbreak. It is possible to purchase any version of the app with any model of the phone. So how does it work? Unlike most apps, you purchase the product once and get the opportunity to use the program for life. SMS tracker and iMessages monitoring. The app allows you to get access to all messages iMessages on iPhone even if they have been deleted. This option is incredibly helpful if you are using the software to keep an eye on your kid and know more about his/her friends. If you are using the soft for business purpose, this feature will give a clear notion about intentions of your employees and prevent disclosure of confidential information. 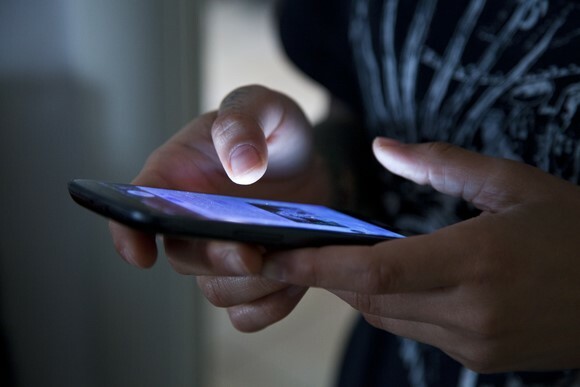 Not sure how employees are using corporate mobile phones? Not a problem, especially with Auto Forward. You can track and even record calls if you are not able to listen to them at a certain time. If you have lost your phone and you have been keeping important information on it, which you need to extract, you will be able to do it with e-mail recovery feature. Moreover, it is possible to remotely delete e-mails containing sensitive and confidential data. Just like all spying software, Auto forward can track GPS location of the target device. This feature is an incredible helper if you need to find a stolen phone or you need to track someone’s location. The app also provides you with the possibility to extract information on social media activity and chats. Just imagine how good it is to have a clear idea of your kid’s online friends and activities. It is not a secret that mobile devices easily substitute computers and laptops as they perform almost the same functions. You do not need to use a computer to search something on the Internet. Learn more about websites which the user visits using the phone to understand what he is up to. It is so sad to lose all the photos taken on vacation because your phone is broken. But, if you are using Auto Forward, you can save your memories as the app can retrieve media files, including videos and recordings. Customers are always recommended to purchase and upload software using only official and authorized sources – official websites as download files are guaranteed to be clean of any viruses. Select a product, make a payment and you will get an e-mail with name, password, and link to download the product. Once you have installed the program, you need to activate it and you can start the monitoring process. Note that it is possible to pay via PayPal system or most widely spread cards including, Visa, MasterCard, and Discover. All products of Auto Forward are subject to 30 –day money back policy in case of failing to perform their main tasks. If you have problems or questions regarding any product, you should feel free to contact experts from Customer Support by telephone or mail. Friendly and helpful experts will provide you with answer or solution in short terms. Using Auto Forward software is not hard. In comparison to other apps, the program offers incredible quality and features for a relatively low price, considering that you do not have to pay extra for its updating. Positive feedback and comments from users make the program really attractive and proves that it is worth trying. 1.4 SMS tracker and iMessages monitoring.